It’s always an exciting time when a new car makes its debut onto the market. 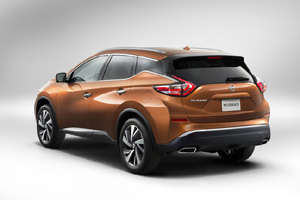 More so than ever, the debut of the 2015 Nissan Murano at the New York International Auto Show is particularly exciting. 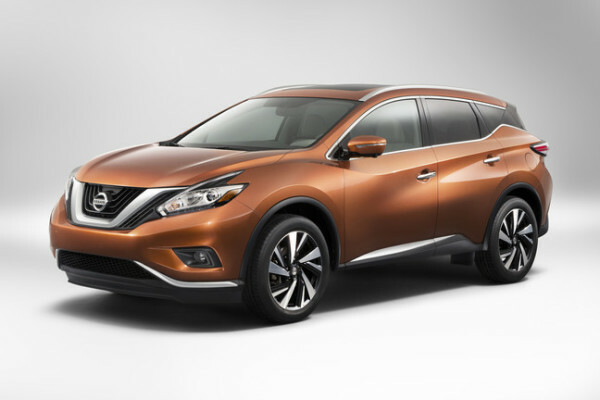 With the 2015 Murano, Nissan has managed to create a “statement” car—a true showpiece. This third generation crossover SUV has a wow factor that is sure to turn heads and grab the attention of modern drivers. In order to understand why, you have to understand the inspiration behind the aesthetic design of the 2015 Murano. While all of this sounds amazingly exciting, let’s not get ahead of ourselves. 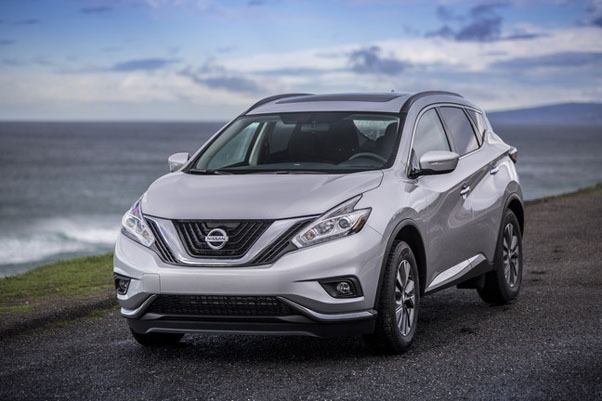 After all, the 2015 Murano is just the beginning—we’re sure there will be many more models to come featuring this new design of the Nissan brand. But for now, let’s look a little more closely at the features of the 2015 Nissan Murano. The 2015 Murano also has a V6 3.5 liter Xtronic transmission that lends to the vehicles’s 20% more efficient fuel economy. The new Murano underwent rigorous wind tunnel testing. Results showed the Murano having the best Cd (coefficient of drag) of any crossover: 0.31—the same as many sports cars, and extremely close to the Nissan 370Z. 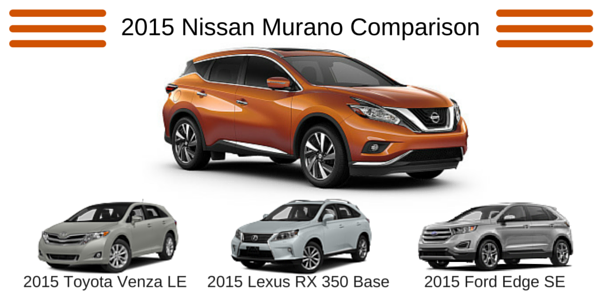 This is a 16% improvement over the previous Murano! 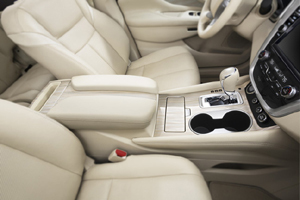 To round out the futuristic exterior design, the interior design of the Murano is equally artistic and sophisticated. Featuring a wealth of amenities normally associated with luxury vehicles, the all-new Murano offers the best in premium interior materials and exciting technology that help modern drivers experience comfort, convenience, and security on the road. 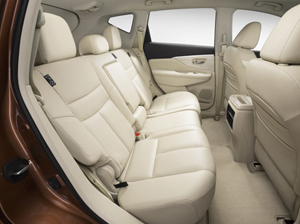 Murano designers were determined while crafting the interior space to create a “social lounge” atmosphere for Murano drivers. To that end, the 2015 Murano features a low, wide instrument panel and a large center information monitor. An improvement for the 2015 model year is the reduction of audio and navigation switches by more than half, replacing complexity with simplicity. Also, the center console has been lowered to encourage conversation between front and rear occupants. NASA-inspired Zero Gravity front and rear outboard seats (as seen in the Nissan Altima and Rogue front seats), improved cargo capacity, increased rear seat legroom, fold-flat rear seat with available power return, and the fact that all rear seating/cargo configurations can be done from the back, with no walking to each door showcase the focus on comfort and versatility in the new Murano. The 2015 Murano offers a wealth of signature Nissan technologies such as Nissan’s customizable Advanced Drive-Assist™ Display, which features a 7.0-inch high-resolution color display. 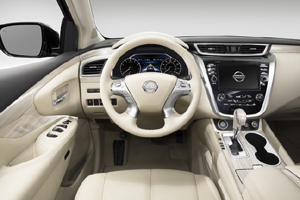 An available 8.0-inch center color display offers multi-touch control of the NissanConnectSM with Navigation and Mobile Apps (subscriptions required). The 2015 Nissan Murano also features the whole suite of Safety Shield technology to create a “shield” around the vehicle to avoid collisions. For a fun look at a few of these exterior and interior features of the 2015 Nissan Murano, check out this cool interactive graphic. The 2015 Nissan Murano will be available late in 2014 in four trims—S, SV, SL, and Platinum. It is available in front-wheel or Intuitive all-wheel drive. As Nissan’s “halo vehicle” and flagship crossover SUV, the all-new Murano is sure to be a welcome addition to the Nissan lineup. To quote Nissan, “To the design team tasked with creating an all-new third generation Nissan Murano, one thing was perfectly clear: Nothing less than a return to the original’s “Wow” factor would be acceptable.” We’re looking forward to the day the 2015 Murano arrives on our dealership lot so we can be wowed ourselves! What are your thoughts about this new Murano? Leave us your comment below or chat with us on Facebook or Twitter. We hope that you will schedule a test drive of this awesome new vehicle as soon as it arrives in late 2014!